A sweet opening video for the upcoming “Hatsune Miku and Future Stars Project Mirai” game for Nintendo 3DS has been uploaded on YouTube. Since recently, I have become a fan of the franchise, so I shall be sharing with you everything that is relevant and new on YouTube. The video, of course, represents a 2D version of what the players will be able to enjoy in 3D. 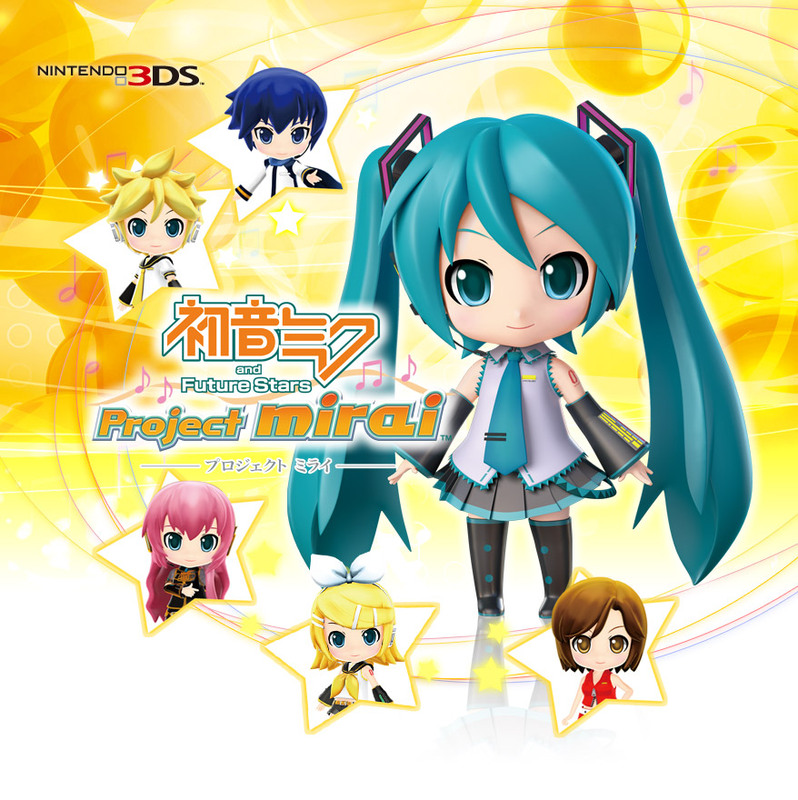 “Hatsune Miku and Future Stars Project Mirai” will coem out in Japan on March 8, 2012 and will definitely be a candy for all the children who want to have their favourite vocaloids in a much smaller scale ; ). Luka, Len, Rin, Meiko, Kaito and of course – Hatsune Miku-chan will all be there! With a hammer on the heads…like whack-a-mole?